The KBS drama "The Slave Hunters" has won the Grand Prize in the category of Hallyu drama, which was a newly established award from this year, in the Seoul International Drama Awards 2010. The organizing committee of the Seoul International Drama Awards held a press conference in the Seoul Press Center on August 20 and selected the Grand Prize winner among Hallyu dramas, and "The Slave Hunters" was ultimately chosen as the best Hallyu drama. 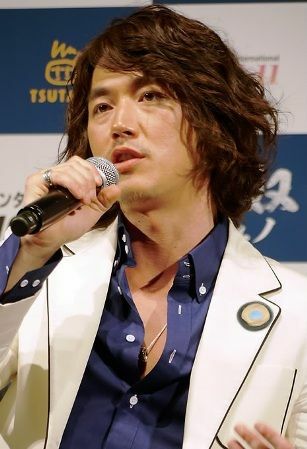 The actor Jang Hyuk, who appeared in "The Slave Hunters", and the actor Lee Byung-hun, who appeared in the drama "IRIS", were chosen as the best actors. "The Slave Hunters" was also awarded in the category of best director (Kwak Jeong-hwan PD), so the drama made the achievement of winning three awards. Actress Go Hyun-jung in the MBC drama "Queen Seon-deok" and Han Hyo-joo in the SBS drama "Shining Inheritance" were awarded as the best actresses. And the writers of "Queen Seon-deok", Kim Yeong-hyeonn and Park Sang-yeon, won the Best Writer awards. The largest number of dramas ever -- 172 dramas from 43 countries -- were entered in this year's awards. The award ceremony will be held at the KBS Hall on September 10 at 6:35 pm. The awards will be presented by being categorized into the Drama Category, which specify awards for Single Drama, Mini-Series, and Drama Series, and the Individual Category, which will select the Best Director, Best Writer, and Best Actors and Actresses. The Jury's Special Awards will also be presented. Seven dramas will compete in the drama category's awards for mini-series, including the Korean drama "The Slave Hunters", Japanese drama "Jin", American drama "NCIS Season 7", and English drama "Being Erica Season 2". And a total of six dramas have been nominated for the awards in drama series, including the Korean drama "Queen Seon-deok", Chinese drama "The Tomb of Changkoong", and Spanish drama "Infidelity". In the individual category, seven actors including Lee Byung-hun in "IRIS", James Cromwell in "The Last Days of Lehman Brothers" (England), Mark Harmon in "NCIS Season 7", and Julio Chavez in "Be Kind To Me" (Argentina) have been nominated for the Best Actor award. And eight actresses including Machiko Ono in "Gold Fish" (Japan), Abbey Hose in "Maite Was Here" (the Netherlands), and Adrien Pauly in "The Killer Queen" (France) have been nominated for the Best Actress award. The host will prepare additional events, in which fans for the dramas from home and abroad can participate, in such places as the COEX Fountain Square in Samsungdong, Yeouido, and Myungdong from September 1 to 9, before the award ceremony begins. In the COEX Fountain Square, the sets for the dramas such as "Legend of the Patriots" ("Comrades"), "Queen Seon-deok", and "My Girlfriend is a Gumiho" will be built, and an exhibition hall featuring the four award winners for best actor and actress in the category of Hallyu drama will be operated. In addition, there will be a fan meeting event with actors including Kwon Hae-hyo, Park Chul-min, and Lee Han-wi in the same venue, and an event will be prepared in which the production staff members and the cast members of TV programs including "The Slave Hunters" and "Chitchat of Beautiful Ladies" will have a chance to meet fans. The preview of the famous American drama "NCIS Season 7" and popular Chinese drama "Jin Da Ban" will be held and various concerts have already been arranged as well.